MoneyGram is a money transfer company offering its services to individuals as well as businesses via financial institutions and a network of agents. It is thus divided into two departments: Global Funds Transfers and Financial Paper Products. MoneyGram is one of the largest companies in the money transfer business with Western Union being its main rival. MoneyGram facilitates its clients with relatively cheap prices. Perhaps the most convenient and quick way to get details about your transfer is to contact MoneyGram’s customer helpline. If you visit their website you will easily locate their helpline which is 1-800-542-3590. Upon calling the Moneygram tracking phone number you will be connected to an automated system asking you to dial the Moneygram tracking number of the MoneyGram money transfer operation you want to track. Once you’ve entered this tracking number you will be able to get details of whether the money has been cashed or not. Another alternative is to contact the party you sent your funds to, via email. They will get back to you with the details of your order. Visit MoneyGram’s official website, https://secure.moneygram.com/mgo/us/en/ . 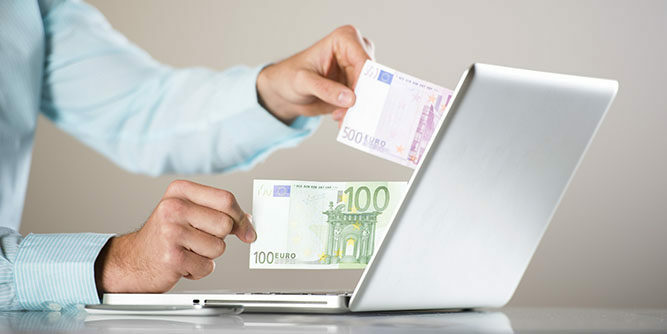 The method of tracking money will obviously vary as to your role in this deal, that is whether you are the sender or receiver, the methods will vary. If you want to track whether the funds you have transferred have been cashed or not, you will previously have had already made an account. The next step is to log into your account and click on ‘track a transfer’ or simply go through your transaction history. Once you have entered your history you will need to browse through and find the particular reference number to discover the status of your money transfer. You don’t need an account for this, all you have to do is click on ‘track a transfer’, enter your details (reference number) and you will get to know the status of your order. To further explain in detail, the website will display you four options: (1) Estimate fees (2) Find a location (3) Pay bills (4) Track. All you have to do is click ‘track’ which will lead you to a page asking for authorisation or your reference number and your legal last name. Once you have filled out these two fields you can press ‘track’ and you are done. Moneygram sends money online however this process can be done through local Moneygram outlets. You can meet your agent and get the status of your money all in person. Visit moneygram’s website, go to service forms, select money order. Get a copy of this form. You can search up to 10 years of history however the fee structure will vary starting from $25. That is for a year old or less, $50 fee for an order 2-3 years old, $75 for an order 4-5 years old, and $100 for an order 6-10 years old. The payment can be made via an agent or even online on the website. Fill out the given form. You might need to add copies of everybody’s IDs. If you’re still stuck then you can contact Moneygram’s helpline for further assistance. Even though, MoneyGram is a secure and safe method of money transfer I recommend you to transfer money to trustworthy businesses or people in general in order to avoid fraud. If your money has been sent to the wrong party, there is unfortunately no way of recovering your funds. You can report it as fraud however you won’t get your money back.